I’m sure you know that your skin is your biggest organ. Did you also know it is responsible for protecting you against foreign invaders such as bacteria and viruses, maintaining optimal body temperatures, activating vitamin D which can then be used in your body, and arguably, most importantly your skin helps to excrete toxins and waste products. It’s for this reason that I often say that your skin is a reflection as to how healthy you are on the inside. When I see patients with skin issues dryness, redness, premature wrinkles, rashes, acne, and hives, I let them know that these are just outward manifestations of imbalances going on deeper in their body. So, despite what the commercials and magazine ads would have you believe, the solution to dull or irritated skin does not lie in expensive creams or harsh chemical treatments but rather in finding the underlying root cause. So before you run out to the drug store or book that expensive chemical peel, check out these 9 tips to help you uncover your root cause and restore your glowing skin naturally! As I always say, “the gut is the gateway to health” and healthy skin is no exception! That’s because inflammation begins on the inside, or rather the food you put inside of your body. When inflammation is high, your skin can become dry, irritated, red, or simply dull. Inflammation from your diet is also a primary cause of eczema and rosacea. The first step in cleaning up your diet is to remove toxic foods – sugar, alcohol, caffeine, and processed or junk foods. These foods are the biggest causes of inflammation and you will be amazed at the difference you see in your skin after ditching them from your diet! After you’ve regained naturally glowing skin and likely noticed many other positive changes in your health, you can try adding sugar, alcohol, and caffeine back in in moderation. The next two biggest culprits in “skinflammation” are gluten and dairy. They are the two most common food sensitivities I see in my clinic, and they not only harm your skin, they do a number on your gut health and can lead to autoimmunity and thyroid dysfunction. Take them out of your diet for 30 days and then try reintroducing them to see how your body responds. If you notice a return of skin issues (or any other symptoms!) take them back out. The good news is that achieving naturally glowing skin isn’t just about removing the bad, it also includes adding in plenty of good nutrients found in delicious whole foods! Below are four key nutrients to incorporate into your diet. Collagen is a protein that is packed with amino acids, including glutamine. 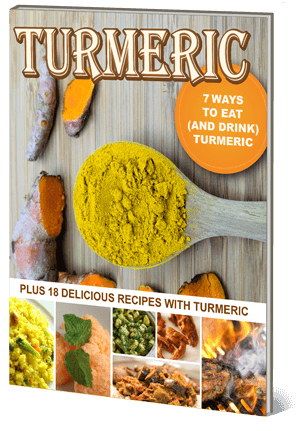 It gives your skin its elasticity, your hair its strength, supports healthy bones and joints, and helps maintain gut health. Your body produces collagen on its own, however your production of it decreases as you age, and if you are chronically ill or stressed your ability to produce it is reduced. 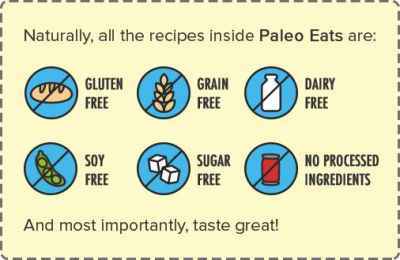 I add The Myers Way® Paleo Protein, which is packed with collagen-specific amino acids, into my smoothie each morning! It’s great for your overall health, and plays a big role in preventing and reducing wrinkles. You can think of vitamin C as a partner for collagen because it helps synthesize it. It is also a powerful antioxidant that decreases oxidative stress (a primary factor in aging), and can help reduce your risk of cancer. Plenty of fruits and vegetables are high in vitamin C, including oranges, strawberries, grapefruit, kale, broccoli, and brussel sprouts. Vitamin E provides a multitude of skin benefits. Its antioxidant properties help fight free radicals caused by pollution, processed foods, and sun exposure, which cause premature aging. When combined with vitamin A it also helps prevent skin cancer. Foods rich in vitamin E include avocados, asparagus, spinach, olives, eggs, and walnuts. For an extra boost of vitamin E to your skin, try this recipe for a DIY face mask for naturally glowing skin that features an avocado and just three other simple ingredients! Selenium is a powerful antioxidant that maintains skin firmness and elasticity, decreases inflammation, and plays a key role in thyroid health. There are many foods that are naturally rich in selenium, most notably brazil nuts. If you are following my Thyroid Connection or Autoimmune Solution protocols, I recommend avoiding nuts for the first 30 days and then adding them back in if you can tolerate them. Fortunately, meats, fish, and shellfish are also high in selenium, so there are plenty of opportunities to maintain sufficient levels of selenium through your diet. I also recommend supplementing your dietary selenium with a high-quality multivitamin. My multivitamin is specially formulated for thyroid health and includes 200 mcg of selenium. This one might seem obvious, however many of us lead very busy lives and can forget to drink amounts of adequate water. If that sounds familiar, remember that clean, filtered water is key for keeping your skin hydrated and maintaining its elasticity. The general rule of thumb is to take your weight (in pounds) divide that in half, and drink that many ounces of water each day. I use Aquasana filters in my home and office and keep a Kleen Canteen with me in order to stay hydrated throughout the day. For most people, making dietary changes and adding in a few high-quality supplements is enough to achieve glowing skin naturally. 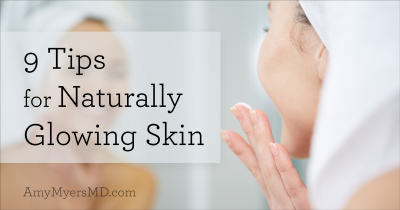 However, there may be underlying health issues contributing to your skin symptoms. Let’s talk about how I tackle three of the most common underlying causes of skin issues I see in my clinic. Dry, itchy, or dull skin can often be a symptom of thyroid dysfunction, particularly hypothyroidism or an underactive thyroid. 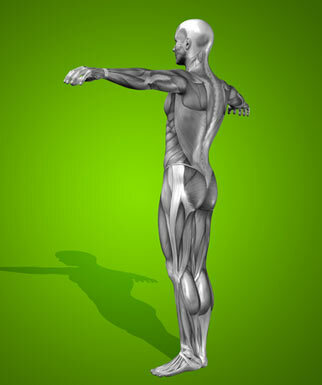 Hypothyroidism causes all of your metabolic processes to slow down. That’s why I recommend having your doctor run a full thyroid panel to make sure your TSH, Free T4 (FT4), Free T3 (FT3), and Reverse T3 (RT3) levels are all optimal. In my book, The Thyroid Connection, I explain what each of these blood tests measures, why your doctor needs to order all of them (not just the TSH and T4 that most doctors use), and why they should use optimal rather than “normal” reference ranges. It’s important to understand that you can still have thyroid dysfunction and symptoms, including skin issues, even if your TSH and T4 are “normal,” and the first step in optimizing all of your levels is to have them tested. You probably know from your teenage days that hormones are a big part of clear, naturally glowing skin. However, we are exposed to chemicals and medications on a regular basis that wreak havoc on your hormones. This includes estrogen from non-organic meat and dairy products, as the animals are often given hormones to help them grow faster. This also includes xenoestrogens, which are industrial chemicals found in plastics, pesticides, foods, and even skincare products, that mimic estrogen in your body. Then of course there’s birth control pills and hormone replacement therapy. In order to keep your hormone levels balanced, I recommend choosing 100% USDA certified organic foods, sticking with all-natural beauty products, avoiding plastic where possible, finding more natural alternatives for contraceptives, such as copper IUDs and opting for bio-identical hormones if you’re taking supplemental hormones for menopausal symptoms. While you implement these lifestyle changes, you can also begin a Calcium d-Glucarate supplement, which helps your body naturally eliminate excess estrogens and xenoestrogens instead of allowing them to be reabsorbed. Yeast, or Candida overgrowth is one of the most common conditions I see in my clinic, particularly among autoimmune patients. It occurs when Candida, a form of fungus that lives in your digestive tract, overpowers the good bacteria in your gut, causing leaky gut. 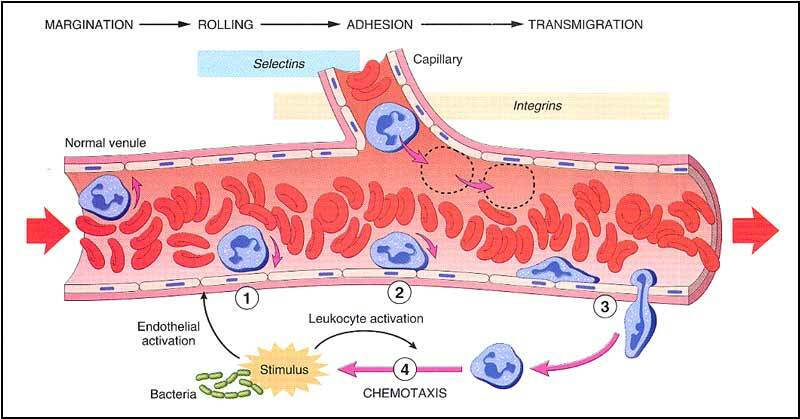 This allows the yeast to enter your bloodstream and spread throughout your body. Some of the most common symptoms of Candida include eczema, rashes, hives, and dandruff, as well as ringworm and athlete’s foot. Candida is typically caused by a diet high in sugar, alcohol, and fermented foods, although medications such as birth control, and even a high stress lifestyle can also contribute. If you suspect that Candida is causing your skin issues, check out my 30-Day Candida Control Program. 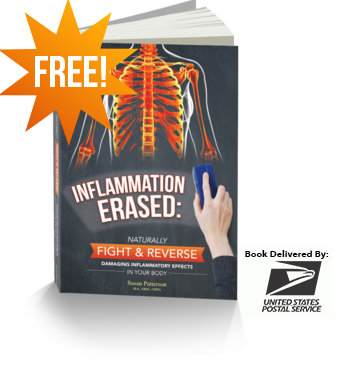 Reclaim Your Vitality and Look and Feel Better than Ever! Are you struggling with fatigue, brain fog, or stubborn weight gain? Do you feel old beyond your years, and generally not like yourself? If so, you may have a thyroid problem and not even know it! 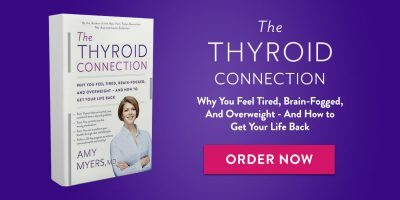 In my book, The Thyroid Connection, I explain why millions of women have undiagnosed thyroid dysfunction, what’s really causing their symptoms, and how to jumpstart their thyroid and metabolism with a step-by-step, 28-day program. Previous articleThis Man Had 2 Tbsp Coconut Oil 2 Times per Day for 2 Months. See how his Brain Changed!